Many believe the oarfish 'predicted' the 9.0-magnitude earthquake in 2011. South China Morning Post reported that on Monday, 28 January, a dead four metre-long oarfish was found tangled in a fishing net off the port of Imizu city, located in the prefecture of Toyama, Japan. Just nine days earlier, two of the eel-like, deep-sea creatures had been found in Toyama Bay as well. The record number of oarfish found was four in 2015, and the latest findings may surpass the record. The slender oarfish's Japanese name translates to "messenger from the palace of the dragon king", reported The Japan News. Similar to the theory that deep-sea fish rise to the surface in the event of an impending earthquake, the sudden findings of oarfish have netizens worried that it is a sign of phenomenons to come. 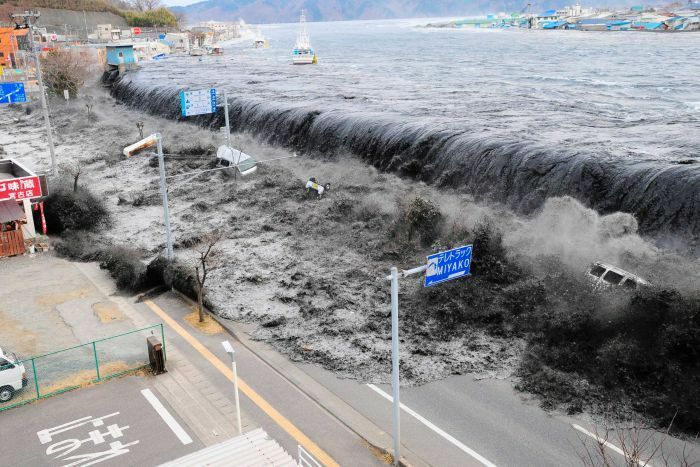 A wave approaches Miyako City from the Heigawa estuary in Iwate Prefecture after the magnitude 8.9 earthquake in March 2011. South China Morning Post reported that the oarfish's reputation as an indicator of imminent doom grew in 2010. 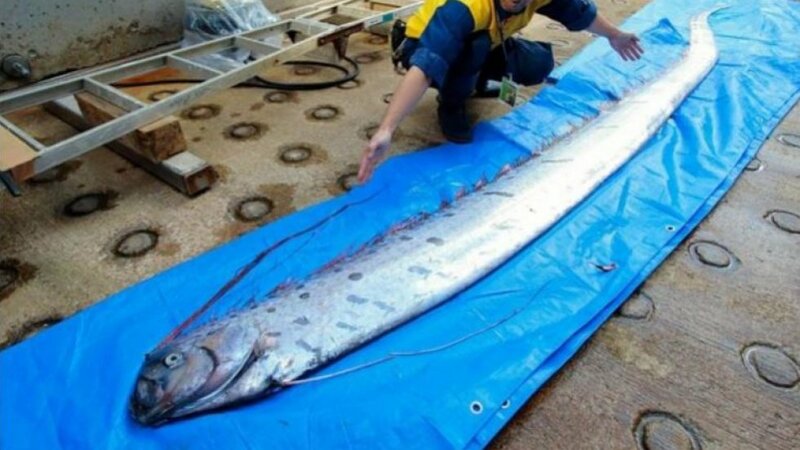 That year, at least 10 oarfish had washed up along Japan's northern coastline. Following that, a massive 9.0-magnitude earthquake struck Japan in March 2011, killing 19,000 people and destroying the Fukushima nuclear plant. Kagoshima University professor of ichthyology Hiroyuki Motomura told South China Morning Post that he believes it is merely just poor health. "I have around 20 specimens of this fish in my collection so it's not a very rare species, but I believe these fish tend to rise to the surface when their physical condition is poor, rising on water currents, which is why they are so often dead when they are found," he explained. Speaking of myths, how many of these do you still believe in? All the victims were reportedly serviced by the same masseuse before experiencing symptoms. The media group amassed a whopping 13.60 million unique visitors.